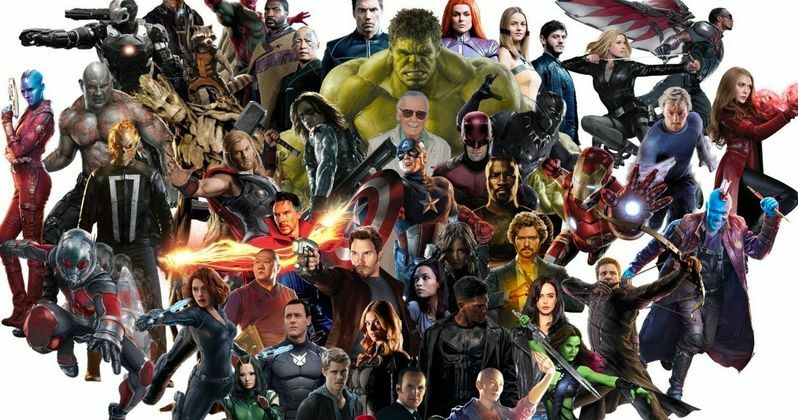 The future of the Marvel Cinematic Universe is finally starting to take shape, as Marvel Studios has dated six new movies for 2021 and 2022. Phase 3 of the MCU is starting to wind down, with Avengers: Infinity War rapidly approaching to celebrate the studio's 10th Anniversary. It is now coming a week sooner than we thought. Avengers 4 will be the final Phase 3 movie when it's released next year and, beyond that, not much has been revealed about the future. Now, we know when Marvel will be releasing their next movies, but the question remains, what will those movies actually be? Marvel Studios will continue their more recent pattern of releasing three movies a year. In 2021, they will be releasing untitled movies on May 7, July 30 and November 5. As for 2022, they've now got untitled projects slated for February 18, May 6 and July 29. This joins the already announced 2020 slate, which includes three untitled movies on May 1, July 31 and November 6. Those nine movies will seemingly make up the entirety of Marvel's Phase 4 slate, but figuring out what exactly those titles are and when they're going to arrive is the trick. The Spider-Man: Homecoming sequel will be the first Marvel Phase 4 movie, which arrives on July 5, 2019. We know that Guardians of the Galaxy Vol. 3 is going to be released in 2020, but as for what date it will be released? Considering how well Guardians of the Galaxy Vol. 2 did, it's not hard to imagine that James Gunn's trilogy will wrap up on May 1, 2020. That's just a guess. At this point, it's tough to say because Kevin Feige has been very tight-lipped about the future and doesn't, as far as we know, plan to reveal their Phase 4 lineup until after Avengers 4 is released. Even titles of movies can be spoilers at this point. That said, we do know some of what to expect. The Black Widow movie is finally being developed, so we know that will secure one of the new release dates. It's also all but certain that Black Panther 2 will happen as well and odds are, Marvel won't make us wait all that long for that, as they're going to want to capitalize on the momentum they have going. There are also projects like Doctor Strange 2, which seem like a sure bet. It's also safe to assume that if Captain Marvel does well, we'll see Captain Marvel 2 secure one of those Phase 4 release dates as well. There are other MCU projects that are less certain, depending on the outcome of Avengers 4. There's been some interest in Thor 4, but that's far from a guarantee. There's also likely to be another event movie in there somewhere, be it another Avengers movie or something else entirely. There's still a lot of mystery, but we at least know when we can expect to see the Phase 4 MCU movies. Now it's just a matter of figuring out what they're all going to be. You can check out the new release dates via the Exhibitor Relations Twitter account for yourself below. Disney's six new UNTITLED MARVEL FILMS have been dated. Place your bets.